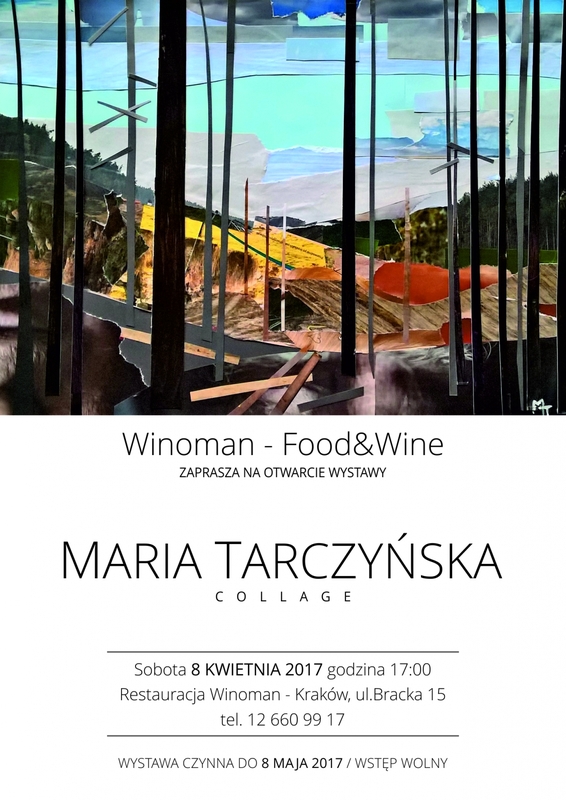 We would like to invite you to the opening of the exhibition of Maria Tarczyńska works. Maria Tarczyńska, an architect has been designing for 30 years in the USA, mainly in New York. She studied painting and sculpture at Mercer Collage, New Jersey and in the School of Visual Arts in New York.The exhibition presents her collage works she made from October 2016 in Zakopane.